A city that completely reinvented itself from a violent past, Medellin is now one of the most amazing destinations in Colombia. While visiting, enjoy one of the best party scenes in South America, learn about the country’s history in the museums, dream about a better world while visiting La Comuna 13 and get in touch with the nature in the many parks and gardens around the city. The people, the prices, the music, the food… Medellin is full of reasons to fall in love with Colombia. So, make sure to include Medellin in your route for backpacking Colombia and immerse yourself in a city like no other in the world. True backpackers will definitely love Medellin. Its prices are backpacker friendly, the public transport is efficient and easy to use, many regions can be explored by foot and the nightlife is vibrant. It’s a dream for solo travellers, who can have an even greater time if staying in one of the best hostels for solo travellers in Medellin. The backpacker’s hub in Medellin is El Poblado neighbourhood. This South American themed hostel will make you love Colombia even more and dream about exploring the rest of the continent. With a fun bar and free salsa lessons for its guests, The Wandering Paisa is perfect for social backpackers – it has the atmosphere you search for when staying in a hostel. Medellin will look even prettier and sunnier from Los Patios’ rooftop bar! This is the place to be if you are looking for a comfortable but sociable stay. The hostel organises activities, from pub crawls to yoga lessons, almost every day. The beds are big and have lockers, sockets and individual curtains. If you love a fun atmosphere and staff members you can call friends after you leave, this is your place in Medellin. Black Sheep Hostel has years of experience and has hosted thousands of happy travellers. So, don’t worry, just relax, either on the sofas or in the hammocks, and you’ll meet people from all over the world! Exploring Medellin with your loved one can be the perfect romantic getaway. These hostels were selected for the social couples that want to meet other travellers as well as getting close to each other. Blackpine, with its friendly but not too busy atmosphere, is perfect for the couple exploring Medellin. The free breakfast, unusual in other hostels in Medellin, is simple but convenient if you don’t want to worry about that. The patio is full of colours and the perfect place to chill after a long day. Did you know that hostels can be pretty romantic?! Chillin District Hostel is proof, with its relaxing hammocks and special lightning, making a warm Colombian night even better. The hostel is new, spacious, well decorated and offers a well-equipped communal kitchen perfect for those trying to save some money by cooking meals. Medellin has a fun and international nightlife, that can be experienced in its bars, clubs and hostels! So, these hostels are the places to be if you love to party and want to start your night out just a few metres from your bed. Reading the funny hostel description (that opens with “WHY ARE YOU READING THIS? Don’t you realise you’re wasting valuable drinking time?! !”) you’ll already start to understand the lively hostel vibes. There’s a big roof top bar, decorated with colourful graffiti, it’s a great place to party and make new friends. When you finally get into bed, you will be comfortable, relaxed and surrounded by four plug sockets all to yourself, the tech traveller dream. Hostel Rango Boutique combines smooth party vibes with a very comfortable stay. With big wooden beds, delicious breakfast and many stylish common areas, this hostel upped the hostel competition in Medellin – it suits every type of backpacker. The bar is the perfect place to have fun and meet other travellers, but it doesn’t keep anyone from sleeping. Searching for a more chilled time in Medellin? These hostels with private rooms are perfect for the ones who prioritise privacy and comfort. El Alternativo is an eco-hostel located in a more chilled area of Poblado, but still sociable and close to the nightlife. The free breakfast is delicious, and the colourful decorations match the happy mood of the staff. So, grab a beer and head to the terrace to enjoy Medellin with your new international friends. If you like organised, spotless hostels, this is the place to be. Ivy Hostel offers free and delicious breakfast, spacious rooms and common areas, also friendly and helpful staff who will help you around Medellin. The homely atmosphere is dangerous though, you might end up like this guest: “I came here planning to stay no more than 2 nights, and I found myself here a week later”. Yes, El Poblado is THE backpacker area in Medellin, but the city centre can be perfect for those who want to explore as much as they can by foot and reach the whole city with public transport. It’s also a very traditional part of the city and the prices here are cheaper than in Poblado. Raiz is a hostel for the chilled, spiritual travellers who want to experience Medellin. This hostel is close to the city centre, where many attractions are, and has different options of public transport, making it easy to explore the whole town. The common areas are good for meeting other backpackers and the staff are lovely. This tiny hostel is a home away from home. Every corner of the Medallo Social Hostal has a personal touch, like cute artwork or stylish bedding, making it feel very authentic. It’s also calm, close to the city centre and has many restaurants nearby. If you are still on the fence, here are some more great hostels in Medellin. If you want to stay off the beaten path, Casa Articulada is your perfect match. The hostel is located in a residential area in the west portion of Medellin, giving you the chance to experience the city more like a local. The staff can also arrange yoga, Spanish and salsa lessons on site for you, making your stay even better. I hope you’ve enjoyed these tips and are now even more excited about visiting Medellin! As you see, the city not only has great attractions, but high quality hostels too. Choose the hostel that you feel suits you best and enjoy Medellin. 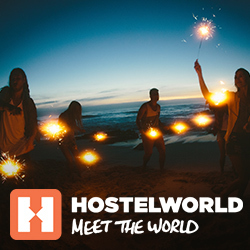 The post The 13 Best Hostels in Medellin appeared first on Hostelworld Blog.